There's a fully equipped gym a 5 minute walk away, a lovely sunny outdoor 50 metre swimming pool a 7 minute walk away, a few yoga studios, as well as a large supermarket a 2 minute walk away. Balmain is home to the Balmain Tigers district rugby league football club that is now represented in the NRL by Wests Tigers rugby league club. There's a great selection of international food, a massage for the weary and even tarot readings for the curious. Monday - Friday 10am - 6pm, Saturday 9. Our Review A wonderful way to soak up the Sydney lifestyle and it's urban villages is to stay at the Balmain Wharf Apartments. These superb prime waterfront apartments have stunning panoramic views across Sydney harbour to the Harbour Bridge. They are all beautiful, contemporary and stylish, rich in history in unique location. Nestled within the historic year old heritage sandstone building is a collection of four luxury serviced apartments. Once, long ago it was the Shipwright's Arms Hotel and it has had a long and interesting history. Now one finds the interiors fitted out to a very high standard in designer style and comfort. They are full of character and heritage without any loss of comfort. These apartments are a wonderful combination of style and ambiance. And being set in Balmain places guests within a short distance to an extensive range of stunning restaurants, cafes and boutiques and eclectic shops. It has been created by Adriano Zumbo, patissier and chef, known for his creations on MasterChef Australia and famous for adding colour and passion to the Australian food scene. He has made macarons please note not macaroons mainstream. It seems the we can't get enough of everything he touches. We all love people and businesses driven by passion and great ideas. Adriano Zumbo Patisseries showcase Adriano's evolving creativity and we always look forward to discovering his next move, cake, or idea. We just can't wait. Our Review Here is a great way to start the day as the Balmain locals do. Chef and Owner Marco Adoncello and his great team present tons of choices and variations for breakfast, brunch and lunch and they are liquor licenced serving brunch cocktails and "Two Italian Boys" wines. Marco's passion, experience and love of food is a standout attraction. It shows in the way he sources the very best fresh produce supporting other local small businesses, even the free range eggs are delivered directly from a farm on the Hawkesbury River. You should try the absolutely delicious Rosa's Breakfast Bruschetta. It's a thick slice of toasted organic sourdough with smashed avocado, fresh roma tomato, basil, rocket, extra virgin olive oil, balsamic reduction and a free range poached egg. Then you can sit back and sip a cup of "The Grounds Roasters" coffee. This is why Contessa is where we like to go, The staff are friendly and involved and there's an interesting and diverse very Balmain crowd. Our Review This excellent bistro is in the iconic Exchange Hotel with its huge ornate veranda, chic decor and lots of historical features. The Exchange Hotel was built in and rightly so is Heritage Listed. The rooms have a really nice feel to them, the bedding was amazing, Charlotte and Chris were great hosts, they have set up the apartment so well and thought of everything. Chris meet us late in the evening as our flight was delayed but he was there to meet us right on time, helped with our bags and then left us with fresh milk for a cuppa on arrival. The apartment has everything we needed including great maps and reading material, a file of thoughtful recommendations, heaps of fridge space, torches, umbrellas, you name it, it was there. The location of the apartment is awesome with a great beer cafe on the ground floor, amazing breakfast and coffee cafe in alley below, spotted Neil Perry and family their buying food and coffee so must be good and then the eating and drinking options just radiate out in all directions. No car needed, walk into city in 20 mins, bus, train and taxi rank near by, easy walk to ferry stops. Bear and Bird Cafe great place for breakfast on sunny days, see map in apartment. Thanks again Charloette and Steve, loved your apartment, cant wait to return sometime. What a great spot to stay. For those looking for a well appointed, stylish apartment in Sydney look no further This beautiful apartment is in walking distance to the city, Darling harbour, opera house and Kings cross Charlotte's attention to detail allows you to make the most of your visit, offering great hints and tips about the local area which is full of hidden gems. Everything at the apartment was awesome! The kitchen was fully equipped so we were able to cook-- even a picnic kit! Charlotte and Chris were so nice and accommodating! One day the wifi was acting up and they immediately got the message and sent us the info to fix it-- what customer service! Lots of great food joints around, too! We fell in love with the Indian food joint right around the corner! We loved staying at the Potts Point studio. It is very convenient to everything, trains, tons of restaurants, food stores, pharmacy and everything in between. We had no car and relied on public transportation and walking, which worked perfectly. Chris and Charlotte have compiled a folder of information that is extremely helpful, which we carried with us in our backpack. It came in very handy many times. The studio has everything you need from spices and condiments to step ladder, complimentary desk top computer and land line phone, plug converters, laundry facilities up one floor, and anything else you can think of. Chris and Charlotte gave us immediate response to our queries. There is no elevator so it was a bit of a challenge for us 68 and 76 to navigate suitcases up and down 3 flights of stairs, but Charlotte was there to help us. When the Internet went down Chris came to the rescue within a couple of hours. Our stay here was great! They meet us out first morning to give us keys and walk us through everything. The location was really good and close to the train which we took everywhere. Plenty of good restaurants nearby. I would definitely stay here again. We had a wonderful stay at Lynn's place, even if it was only a flying visit. Her studio is clean, tidy and very nicely decorated - it looks just like the pictures. Despite only stayed at Lynn's place for one night, i still get to enjoy the accommodation to the fullest. The place has the best combination of having privacy and also gives you opportunity to interact with Lynn as needed as well great for solo travellers like me! The place is extremely comfortable and spacious. The lounge area is a great place to relax and unwind. Lynn is extremely helpful and kind to allow early check in too. The locality of newtown is quirky, full of character and an interesting contrast to the cbd and its surroundings. Such a beautiful little zen space. You would have no idea you were so close to the bustle of King street in this deliciously tranquil studio. Perfect spot for some harmonious down time in a Sydney city visit. Response and communication was quick and check in was super easy. There were extra little touches that Lynn provided that were much appreciated, she was away on my visit but Shane took good care of me and was a great host. Mocha the resident dog is very cute and friendly. I would stay again and recommend it to my friends. Lynn is a marvellous host. The room is very tasteful and amenities are great. Walking distance to King St and a quiet park nearby. Lynn is such a great host! The apartment is lovely,and Lynn added a lot of personal touch in the design and amneties. Location is good to, close to public transport and plenty of restaurants. Lynn was a great communicator and the space was lovely. We would stay again when in Sydney. There was plenty of places nearby for food and to explore. We wish we had longer to enjoy it. After a long flight from Germany, we were so grateful to come in a clean apartment. All I can say is: Paul, thank you so much for all your kindness. We had a wonderful stay. July 8th-July 16th His apartment was located in Redfern within walking distance to restaurants, bars, shops, train and of course the beautiful Prince Alfred Pool. Accommodations were very clean, user friendly and well supplied. We loved our stay here and highly recommend to anyone. We did not meet Paul but our daughter did and felt he was extremely accommodating and helpful. Best to you and we hope to return sometime. Paul was a wonderful host - from the initial booking, to the actual stay, and he was a life savior post-stay when he express mailed a package that had been left for me at the apartment. The apartment is wonderful and spacious, in a lovely location with access to the subway, great cafes and restaurants. Made our Sydney stay after a hour flight very pleasant. He was very accommodating and was quick to respond with all our questions. We loved out stay at Paul's place in Sydney. It was spotlessly clean, and all of the appliances were in working order. His instructions for the house were clear and easy to follow. The apartment is a few minutes walk to trendy, fun places to eat or have coffee, the supermarket and the railway. The flat is only five stops from the Opera House by train. Communication with Paul was always quick and easy. We would love to stay at Paul's property in the future. It was nice to of met Paul when he dropped by one night to see how we were going. Also this place is very handy to the public transport system where going into town is only a couple of train stops away. The description of Paul's apartment was so accurate! Such a lovely, bright and airy place to stay. My two friends and I just stayed here for 3 nights and loved the apartment. Paul was very kind and answered any question I had. Would definitely stay here again next time I am in Sydney. It was also a great place to relax after a long day of walking around Sydney and was such a clean and cosy place. Thank you so much, Paul! This was my first air bnb experience and it was definitely memorable! I invited my parents for their holiday. They stayed 6 days in paul's place and my parents were really happy with his place. 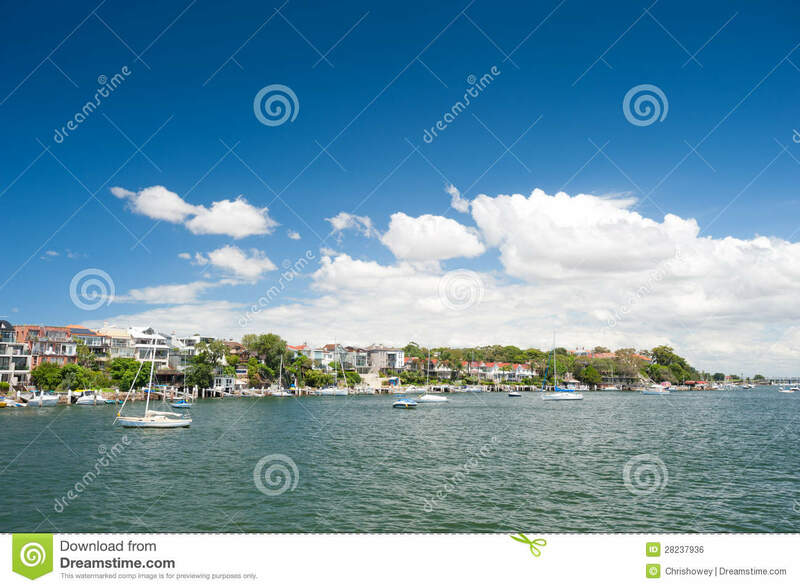 So close to the Balmain wharf and convenient to the shops in Darling St, Friendly helpful and generous host. John and Julie's studio is fantastic. It's located in a beautiful and quiet area but is still within walking distance of restaurants, cafes and the ferry. It was very clean and had everything I needed. I wouldn't hesitate to stay there again. This is a great place to stay if you want to get a taste of a charming neighborhood close to the CBD. The unit is private, clean, and comfortable. Our hosts were friendly and helpful. John even picked us up from the ferry station and walked with us to a neighborhood convenience store to help us buy a public transportation pass. A cozy and comfortable place! And it was super easy to get to the various Sydney attractions. John was a wonderful host: Garden was a great space to relax. The inside was very nicely designed and furnished. John was friendly, helpful and responsive. This place is a gem of a find! A spacious living space underneath the main house with all amenities, jacuzzi bath and a beautifully landscaped subtropical garden with lots of seating, pond and BBQ. John was a great host and provided essentials plus a very welcome chilled bottle of wine and a few beers on arrival! We arrived by train from the airport in Circular Quay 20min journey caught a ferry one stop to Balmain 11mins where John met us on the wharf, then only a short 2min walk from there. Easy to get in and out of Sydney Circular Quay but you just have to watch the time of the ferries every 30min peak time, every hour off peak. Balmain itself is a lovely area and the Main Street offers supermarkets, restaurants and shopping. Thanks John for being a great host! Thanks John, We loved our stay at your place. Everything was excellent very good location to get in to town. We certainly come back on another occasion and strongly recommend to others. Gracious hostess and impeccable place.. Close to Tram so sightseeing into the city is easy to do after walking about 3 to 5 minutes.. We had a wonderful stay at the Lilyfield Guesthouse, with Charlotte as our host. She was very welcoming and ensured we had all the comforts of home. The house is close to the Light Rail for a short trip to the city and also supermarket for anything you may need. We would definitely stay again! Thank you Charlotte for making our 'Girl's week' memorable, we had a lovely time! My boyfriend, some friends and I stayed here on the 11th of August to celebrate my birthday. 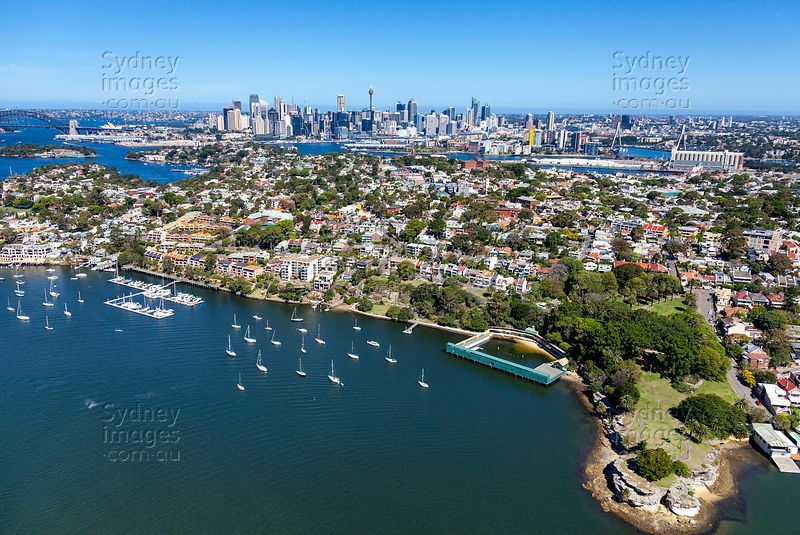 Despite being Sydney residents, we wanted to stay closer to the city and found the location of the house in such a beautiful suburb to be most attractive. From the moment I first emailed her, Charlotte was a friendly, gracious, caring and efficient host. She promptly responded to my booking enquiry, offered to organise a dinner booking, approved our request of a late check out and checked our dietary requirements for breakfast - my experience with her was nothing but positive. The house itself was grand, clean stylish and with everything one could want for one night or longer! I couldn't have imagined a lovelier place to spend my birthday - super comfy beds, a huge sunken tub for two, a coffee machine, board games and a tim-tam surprise! Was extra special to have a chat with her before I left - she lives out the back with her family but I barely heard a peep. Charlotte our host made us feel incredibly welcome. Prior to our stay I felt very informed as to what we could expect and hope for. Charlotte answering the few questions I had and this was helpful to me as this was my first airbnb booking. When we arrived Charlotte gave us a thorough run down of what our accommodation offered in a warm friendly manner. She was knowledgeable of the surrounding district and what the main features were. The description provided prior to the stay gave me the heads up anyway and I excitedly had our trip fairly planned before we arrived. I would definitely go back. Charlotte was a lovely host and although it was a short stay Charlotte was very accommodating and her hospitality was very much appreciated. A charming home that was spotlessly clean. I booked Charlottes place for my mother to stay in when she came to Sydney for the funeral of her father, my grandfather. We needed a clean, peaceful retreat, and this was perfect! My mother has never been easily pleased, only the best will do, and she just loved the Lilyfield guesthouse, and wants to stay there every time she comes to Sydney! The rooms were immaculate, the bathroom luxurious, and the breakfast service and clean up was much more appropriate for mums needs than a self contained kitchen, due to her injured shoulder. The location is close to transport and shops, but still peaceful. Communication with Charlotte was easy and helpful, she even reimbursed mum for buying her own gluten free bread! Highly recommend the Lilyfield guesthouse, and Charlotte as a host, even though I didn't get to meet her. Lilyfield Guest House is amazing. Handy to public transport and close to the city. The facilities are more than adequate, very comfortable and well appointed. Charlotte is the perfect host. We stayed at Charlotte's for 4 four days and were very happy with the lovely property that she provides. It is very private, in a great location, a 5min walk to the light rail and a ten minute walk to the three weeds restaurant in which Charlotte recommended to us. Wonderful for a special occasion. As far as Charlotte's children we never heard a word. Great communication from Heather and my colleague Ben was very comfortable there. Perfect in every way. If you are traveling on your own or as a couple this compact but oh so central studio has everything you could need. Very well fitted out, a very comfortable place to return to at the end of a busy day. So why do people still use hotels??? Very nice little apt perfectly situated. Totally clean, everything there you need, even plug-in stove, washing maschine etc. We enjoyed our short stay a lot! Great studio perfectly situated close to king st and all it offers with food, inner city buzz and, great transport links. But also far enough away to cosy and quiet. This studio has everything you would need for a short stay and we felt very comfortable there. All communication with host was quickfire - just what you want. All in all, I would stay again and recommend to others. Had a great meal at Atom Thai on King St, they even deboned the whole snapper at the table, yum. The studio was great and had everything I needed for the stay. Enough privacy from the main house. Great location near Newtown restaurants and very convenient for public transport. Only small downside is the proximity to the train tracks means you can hear the trains, which can make sleeping a bit difficult depending on how lightly you sleep. Everything was top notch otherwise. This compact studio was just right for what I needed while in Sydney for a conference at Australian Technology Park. The studio was light, clean and provided the essentials. Conveniently located; I opted for an easy minute walk to the venue and back each day and the train station was close-by, if needed. Many thanks to host, Nichola Standing In For Heather, who was quick to respond with helpful information before my stay and readily available to call on during my stay. I appreciate the extra effort that Nichola went to for me. Our host Heather and her mum Ruth were most welcoming and accommodating. The studio was exactly as described and perfect for our needs. Clean and cool on a very hot couple of days. It's close to some great coffee shops, restaurants and public transport and it's really easy to stroll up the street to King St and hail a cab. It was fantastic staying at Thomas' place. It was very clean and close to everything in Glebe. I highly recommend staying at Thomas' place. Super clean and comfortable stay. Many cafes nearby and shops nearby. The fish market is a stroll away with amazing fresh produces. Overall a good exerperience. We only stayed at Thomas's place for one night before we flew to Melbourne but we really enjoyed our stay. Our room was lovely with a huge bed and a big bathroom with a shower and bath. Also only a short walk or uber ride to Sydneys cbd. Thomas has a beautiful house near the city center. He is very nice and helpful. I really enjoyed my stay in Glebe. Thomas was there to welcome us and show us around the house. The house is in our favourite neighbourhood close to the city centre. You can walk through some short cuts to city centre in half an hour. Is close to the fish market too. Lots of restaurants and cafe's to choose from within a a few minutes walk. The balcony catches the afternoon sun so a nice place to sit. Thomas' parents are so nice and kind that we'll always remember! Their house is so wonderful and amazing, Glebe is great! It's very convenient to get to the Fish Market, and if you live in their house on weekend, you may meet the Glebe Market, which is fantastic! This airbnb is absolutely recommended! The host is surely a giver. She spent her time planning my trip for the next day even when it was late night. In addition, her airbnb is really valuable! Smoothe interaction when booking. Clean private room, bathroom, and other common space. Beautiful scenery from the room window. Good access to the station. Hope you will have a good time here! Loved staying with Beverly, she made us feel so welcome in her lovely apartment. Always prompt and helpful when getting back to me prior to our arrival, apartment very clean and her helpfulness continued thru our stay, and located so close to train station and lots of places to eat nearby. Our stay with Beverley was amazing. She is great host and the place was nice and tidy. She left breakfast for us and also she gave us advice on where to buy cheap stuff in Sydney. Arrival was greeted warmly despite late. Room and bath was very clean!!! The breakfast was delicious, too!!! Beverly is an absolute delight. Me and my best friend spent our last few nights in Sydney with her and it was a pleasure. Shes always around for help or tips about the city. Perfect location, so easy to get around and got lots of nice places local. We felt very comfortable in the room of Berverley and Michael. The room and the bathroom were new and tidy; Michael gave us towels. We appreciated that the room is very close to the airport. The problem is that there is a road in front of the house, which is very busy all night. If you are not used to sleep with closed windows with air condition, it is relatively noisy. For the rental car we had a place in the garage. That was great, because parking is expensive. Great space, very clean and right in the centre of Sydney, close to everything. Check-in was super easy and Jared was a very responsive and friendly host. Highly recommend if you are on business in Sydney and want a quiet, nice stay that's easy to get to: Beautiful clean spacious highly recommendable for city overnights or stop overs we really enjoyed our stay. Will use this patch again. Very close to Pitt st mall which has so much yummy food on level 5 to enjoy. Shopping life is also great! The sofa bed Marcela got out for us was super comfortable as well! This Airbnb was so good. Famous sightseeing spots can roughly walk Website hidden by Airbnb answers correctly to all questions quickly. Wifi can also be used comfortably. Thank you so much. I really recommend it to everyone. This location is phenomenal and perfectly located in the middle of the city. I will definitely come back here for the experience! Excellent location, quiet and clean. Fumi and Luci provided all the info we needed, without being intrusive. Lucie and Fumi's apartment was as expected, very good! The apartment is clean, location is well-centralized, and it even has a Coles supermarket across the street that closes at 12am. Both of them were very helpful and ever ready to troubleshoot if we met any difficulties. Will definitely stay again when I'm back in Sydney. We were lucky to be able to book it in again and it was an easy and comfortable stay for us. They were very helpful and communicative throughout our stay and we highly recommend staying with them! A small but perfectly-formed apartment ideally placed for a short visit to Sydney - exactly what we were looking for. Room was cosy but well equipped. Great location, 5min walk to glebe markets which was a lovely way to spend a Saturday morning. Hosts were always very quick to reply and very helpful. Really excellent room with private en suite and lots of space, including walk in closet. Very comfortable, lovely views of trees and golf course, breakfast on the veranda, and very close to shops and buses to Sydney. Generous and beautifully decorated en-suite room in large house overlooking lovely back garden and golf course in affluent Lane Cove. Ping was attentive to detail and proactive regarding arrival time arrangements. We would definitely recommend Ping's apartment. Pings place was clean, private and quiet with excellent views of nature. They allowed us to check in earlier, thankyou. We will return again. For an elderly person, it may be bit hard to come up and down the stairs to access room. A truly lovely place!!! The room overlooking a leafy garden was excellent. The host was very welcoming and helpful. Very nice place, clean and comfortable. Great interior, beautiful garden. Easy access to public transport. 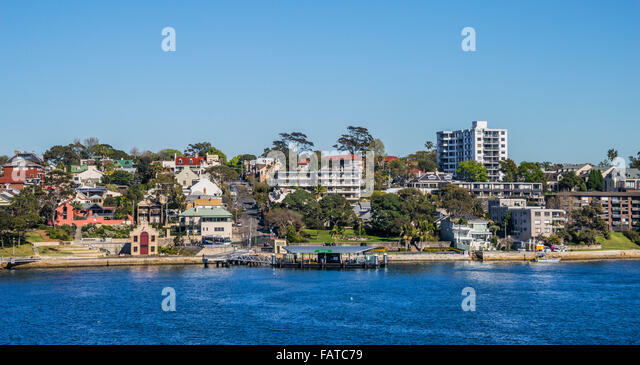 The view to the golf course, the spotless clean room, the nice and worm treats from the host, the close distance and convenient bus ride to the center of Sydney, the quietness of the surrendings, and mostly the price is much worth than its value! I would recommend anyone who plans to visit Sydney. Believe me, you won't be disappointed! I had to cancel another airbnb reservation at the last minute and was desperate to find a replacement. Ping answered the request right away and was very helpful and pleasant the whole time. The room is absolutely gorgeous! It was comfortable, well furnished and spotlessly clean. The view outside the room was both breathtaking and charming with beautiful foliage and a flower garden. The kitchen area was well accommodated and inviting and the whole stay just could not have been better. I was sad I couldn't stay longer, definitely the best airbnb experience I've had so far. Very nice home in a beautiful part of Sydney that is close to the city and reasonably close to northern beaches. No breakfast provided so bring your own but there is a small kichenette for basic meal preparation. Gary and Sue were excellent hosts, always available to assist with any travel queries and local knowledge The accommodation was superb, clean , tidy and as good as if not better than many hotels that I have stayed in around the world I would highly recommend them as hosts and their accommodation. Thanks Sue and Gary We really enjoyed our short stay with you - Ideal location, apartment as described many thanks. Sue and Gary are amazing hosts, they are very friendly and helpful. They provided me and my girlfriend a comfortable place to stay, it's very clean and tidy, we love it so much! Sue was very quick to respond and organise my stay. I had a great time in Sue's place, which is very conveniently located. Sue and her husband is our surprise of Sydney ,they are hot and helpful so that make me feel dreaming ,room is so clean and they are like artist ,in a word ,we are so lucky to meet them. Great accommodation provided by lovely hosts in a marvellous location which is ideal for exploring Sydney and surrounds. Loved staying at Julie's place. The studio is clean and just the right size for a single person or cozy couple. Modern appliances with a comfy bed and great little bathroom. Julie and Jim are great hosts and lovely to chat to. I had a lovely stay here in Rozelle. The studio was bright and very clean, with a very modern bathroom and kitchenette. It was nice and quiet though for those who have never lived in the inner west of Sydney, it is good to be aware that there is some aircraft noise. Access was easy and I could come and go as I pleased which was really convenient as I had appointments and was spending a fair bit of time with my sister who lives nearby. I was able to find on-street parking, and it was only a 10 minute walk to Victoria Road buses and also close to the light rail. The little kitchenette with bar fridge was really handy for keeping some yoghurt for breakfast or having some tea. I met the hosts briefly as I was coming and going and they were a friendly and lovely family. Honey the cat was also a friendly host, often perched outside on the table near the studio entrance hoping for pats when I would come and go! Perfect little granny flat in a great spot in Rozelle. Easy transport links to city, plenty of good local eateries. I stayed in Julie's studio for two nights and it was a really pleasant experience. The studio was very neat, tidy and peaceful. Rozelle is lovely part of Sydney - it feels like a village. The studio is near Darling Street's cafes, bars, organic food shops and the Rozelle Collectors Markets. It's very easy to get to the accommodation via public transport bus. Julie was very welcoming and a prompt communicator. Julie's Studio was just what I was looking for in Sydney. It was very comfortable and the location could not have been more perfect. Julie was a great host, very helpful and friendly. I enjoyed my stay. We had a shorth notice request and Keith made it possible. The location is perfect in the middle of Sydney in a quite and lovely neighborhood. We had no car and it worked well. The apartment is in the backyard of his house with air-conditioned and fan. Perfect for the summer days. The apartment has all you need since Sydney is waiting for u out there. Keith gave us our privacy and good advices once we left to further travels in Oz. Keith's small garden cottage is as charming and perfect as it looks. In one of Sydney's loveliest neighborhoods, the garden studio has total privacy with personal laneway access and everything you'd need for a stay in the city. Keith was well organised and easy to arrange things with. A large studio, a really comfy bed, good sized shower and bathroom and all the amenities needed for a short stay. Thanks Keith we will definitely consider your place in future. Nice studio with ensuite. Clean with all the basic facilities needed for a short break. Private access, the property is situated at the end of Keith's garden. We had a enjoyable 6 day trip in Sydney here and would return. Keith's place is great for short-term stays where you're not looking to fully self cater. It's neat and tidy and in a very convenient location. Had a pleasant stay. The view from the room was amazing. Public transport is just around the corner. Very close to the city. Great place for the short stay. Beautiful City's View from the top room. Very clean house, look like just been renovated. Highly recommended for single and couple travelers. Anthony's place is great. Easy transportation into Sydney, just a short walk to the ferry into Sydney, what a great way to travel. You go under the Sydney harbour bridge and dock next to the Opera house, nice. Lovely room in a sweet house in a great district. The house is a stylishly renovated older property with amazing city views, especially at night. There are plenty of places to eat out in the area and the Balmain Ferry to Circular Quay is only a short away. We really enjoyed staying here. Great place to stay in Sydney. Gorgeous views from the upstairs bedroom - light and airy, very relaxing. Bed is super comfy. Kitchen amenities clean and well maintained. We shared the apartment with a stranger and it was fine, but would be an awesome place to have all rooms booked out with multiple guests. Untimed, free parking right out the front. Quiet street in beautiful neighbourhood. Less than 10 minute walk to Darling street for cafes and awesome restaurants, and 15 minute walk down to Dawn Fraser ocean baths to cool off. Deck is currently under construction off the top floor bedroom, will be keeping an eye out for when it is finished to stay at this place again. Awesome air BnB, and host Anthony is super helpful and nice. Anthony was great with making us feel comfortable and welcome in his home. He was really helpful with how to get around Sydney and told us about some fantastic things to do and see. He really made our stay easier! The room was lovely, gorgeous view of the city and the private balcony was perfect! We were able to make ourselves feel at home which was lovely compared to a hotel! Will be staying here again on our next trip to Sydney. Fantastic, new studio with everything you need! Walk to good breakfast, dinner and drinks options. Daniel's Redfern studio is fantastic - located within easy walking distance to cafes, bars, restaurants and the CBD. He was welcoming and helpful, and has set the place up really well for visitors. Very comfortable for a couple - and easily accessed through a private entrance adjacent to a small leafy park. Daniel was an absolutely gracious and easy-going host. I arrived and found a detailed map with suggestions for groceries, food, etc. The studio was separate from the apartment, felt very private, and comfortable. When I encountered a problem with the front door, Daniel quickly helped me out right away to solve the problem. Neighborhood was quiet, not far away from city center. Would recommend Daniel and his amazing studio to anyone! Daniel's studio is in a fantastic location, across the road from the park and in a very pretty, safe street. Supermarkets, cafes, restaurants are in easy walking distance. Daniel's a great host, very friendly and full of useful information about the area and Sydney. Charlie is excellent company too. Thanks for having me Daniel. This is such a great studio in such a good spot. Private, easy to come and go, good cafes and pubs close by and you can walk into town in twenty minutes. Daniel is a great guy. It was super clean and nice inside. Daniel was very accommodating and flexible with all of our requests. Would definitely recommend to anyone! Daniel is a very welcoming and thoughtful host. He was very responsive to messages and ensured that we had all the information we needed for an easy arrival and to make the most of our short stay. We loved exploring the back roads and alleys. Make sure you visit Bourke Street Bakery which is only a short walk from the Studio. The studio itself is well designed, modern, clean and had everything we needed for our two night stay. The bed was uber-comfortable with crisp white sheets!! I wish we had more time to sit and relax in your cute little backyard - well maybe next time ;- Thanks for having us! Daniel's place in Redfern is perfect! Great spot for exploring Sydney. There are tons of bars and eats within a 5 minute walk. This gem is a short walk to public transit. However, it is so walkable we barely used trains. Daniel keeps the place very clean and is perfect for a solo traveler or couple traveling. I certainly recommend his place. Bonus-his dog Charlie is the cutest. Julie and her hubby were lovely people, offered us everything we might need ie advice fresh towels etc. Would love to stay with them again,was worth the 24 hours travelling time to stay in a clean cottage and to feel safe and quiet. Julie greeted us at the curb and made us feel at home right away. She was friendly and accommodating. She and Gary were informative and gave us good suggestions for eating and getting around. The information on the listing was exactly as promised. The cottage is perfectly located for us. We have stayed there several times now. It's our preferred place. It has everything we need. We spend just one night in this lovely cottage, but hope to come back asap! Because this cottage has everything you need and more! It's also at a perfect location in the beautiful 'little italy' and only a 20 min busride away from the Sydney city-center. So thanks again Julie for your hospitality! All aspects of the booking were made very easy for us. Communication was clear and early and all directions enabled checkin to co smoothly. The property is charming, a small space used with utmost attention to detail to make the space comfortable and user friendly. The location is fantastic and Julie and Gary are lovely hosts. It was great to meet Julie, a fellow Airbnb host. She welcomed us very warmly and her self-contained cottage suited our needs perfectly. There were some lovely additional touches like tea, coffee, wine, chocolate and other foodstuffs. We'd love to stay there again when we need accommodation in the city. Cosy and clean, private and easy. Julie is a perfect host, responsive and friendly, and the room had loads of little surprises to make you feel welcome and at home away from home. The cottage was extremely comfortable, spotlessly clean and a little home from home. Jules and Gary were both very warm and inviting and made us feel part of the family from the off. It was extremely easy to navigate around the local area, plenty of shops, cafes and restaurants. We used the bus services into the city, really easy to use and very frequent. Came away feeling we had made new friends. Very nice apartment - stylish, clean and exactly as shown on the listing. Very short walk to public transport nearby. Cassa was an excellent host, any issues building maintenance caused the hot water to be turned off when we arrived they responded to and resolved swiftly. I would definitely stay here again and recommend it highly. It was a great place to come and relax in at the end of a long day. Cassa was a wonderful host and very easy to communicate with. Her place was brand new and had everything you needed for a short stay. I especially liked the special touches she put in place to make up feel welcome and comfortable. Cassa is a great host. We had a very pleasant apartement. A really great place to stay! We highly recommend that place! Excellent location, quick responses from Cassa and beautiful apartment. Would definitely visit again! Find Places to Stay in Balmain on Airbnb. Discover entire homes and private rooms perfect for any trip. Vacation Rentals in Balmain. Places to stay in Balmain. We're Sydney's 1 reviewed hosts too. Everything you need to know is there. We're pretty relaxed hosts, and we fully appreciate staying with someone else, in their home home, is not for every-one. This is not a business, or a hotel. We're casual Airbnb hosts, not hoteliers. If you're just looking for an alternative to an expensive hotel, then we're not for you. It'll help speed things up, and smooth things out Please read our listing all the way to the end. It will make getting a confirmed reservation so much easier: Thanks for coming to check out our listing: We have another btw The stairs are steep. The shared bathroom is down stairs. Not recommended for people who like to travel with lots of luggage, people with any mobility issues, or for children. If the dates you're seeking are not listed as available, then they're not available. So please do not make a reservation request for different dates to the actual travel dates you require. Please only make a reservation request for the exact and complete dates that you require. In the same way you feel more comfortable knowing more about the people you're staying with, we do too. And a profile pic of a cat doesn't really cut it either It lets us know you've read this information and are ready for a fantastic five star hosted experience with us in our Sydney City home. Can't wait to meet you! Sorry, this is so long, but we know we've answered all your questions now. And remember to use the code words; "Five Star Stay" in your message. Pyrmont is only about 2kms 10 - 15 mins walk from the centre of Sydney with an extensive range of local restaurants, wine bars, and pubs. There's five star fine dining right through to greasy-spoon takeaways with some of Australia's finest dining restaurants within easy reach. Media Production houses, boutique cable TV channels, etc. Sydney University is about 20 minutes walk away only 10 mins in a cab or bus. Eat, drink, and be merry: Being ex-restaurateurs we'd be more than happy to point you in the right direction for a great meal in Sydney. And there's plenty on tap too. You can't walk more than a block in any direction without walking into the front bar of a local pub, or a wine bar, or a great cafe, or restaurant… To give you an idea, there's 9 of Sydney's top 10 restaurants within easy walking distance: All at our door Must do's our local faves in Pyrmont include: Pyrmont is really close to the Sydney CBD and the other inner city villages: Beautifully stylish, unique and thoughtful design in the most trendy location in Sydney. A short stroll to the hippest cafes, shops and transport to anywhere in the city 5 minutes walk from central station. Uniquely spacious 1 bedroom flat. The flat is one of two seperate spaces in a heritage listed terrace nestled on a lovely residential street in Surry Hills. We live in the space upstairs but you have exclusive access to the bottom floor with your own entrance and completely seperate amenities. Your very own home away from home U don't actually have to see us: Your space flows over the entire bottom floor of the terrace and is accessed by a seperate private door. Your flat is equipped with anything you might need to make sure your stay is pleasurable; including comfortable leather lounges, a well equipped kitchen with nespresso coffee machine, new dishwasher, ceramic cooktop and stainless appliances no oven though so if you must have freshly baked muffins for breakfast check the guidebook for some great options at your door step ;-. Wifi is of course provided as well as ample desk space and the TV comes apart from the free to air channels with a netflix subscription and access to abc iview and sbs on demand so if you're tired of exploring the city just kick back and relax on the comfortable lounge and catch up with the latest. There is also a tiny, really really small! In a nutshell - the terrace is very well maintained, with renovated interiors but the bones of the terrace are lovely, quirky and old style. Typical Sydney urban living on a leafy quiet street. Sydney is best known for it's beaches and picture perfect, glistening harbour but in recent years it's starting to give Melbourne a run for it's money when it comes to great bars, amazing food, off centre arts and culture pronounced as a nasal 'Cultcha'. Surry hills is where it all happens in Sydney - you really can't get closer to the trendy heart of our city than this. Walk to the centre of crown and oxford street central, china town, and the sports venues SCG, Allianz Stadium and fox studios. We've included some of our favourite neighbourhood haunts as well as some worth checking out further afield. Eating and Drinking in the hood: For great coffee - Rebuen Hills is a roastery and cafe around the corner on albion street. Tokyo bird Bodega it's on the list not because WE recommend it but because others will - some people rave about it but we have had some pretty average fare here Pasta Emilia on Riley is a quaint little italian grocer with THE BEST pasta..
Balmain, New South Wales is a suburb in the Inner West of Sydney, New South Wales, Australia. 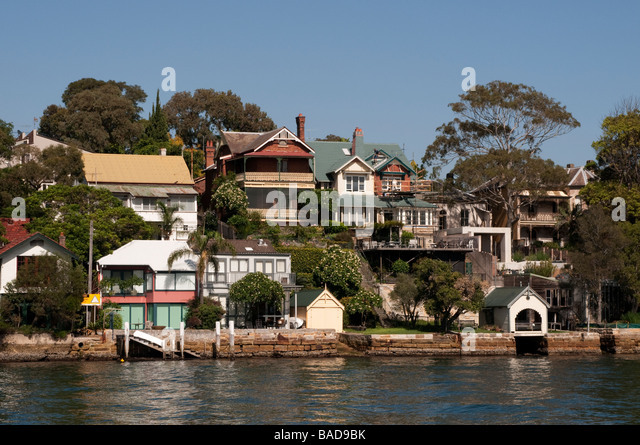 Balmain is located 6 km west of the Sydney central business district, in the local government area of the Inner West Council. It sits on a small peninsula that juts out of . Balmain Official website. Shop women's, men's, kid’s clothing and accessories. Balmain Tourism: TripAdvisor has 5, reviews of Balmain Hotels, Attractions, and Restaurants making it your best Balmain resource.